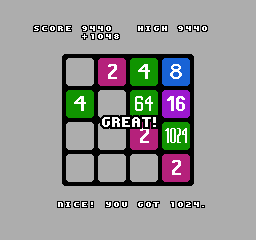 NES/FC version of the popular 2048 game. 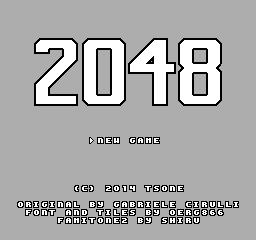 Font and number tile graphics were used with permission from 2048 Mega Drive/Genesis version by Oerg866. 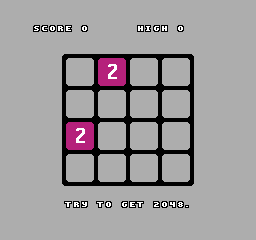 The game uses FamiTone2 audio library by Shiru. Many thanks to Shiru and Oerg866. The sources are available as part of neskit project in https://bitbucket.org/tsone/neskit/ where sources are in examples/2048/ directory.